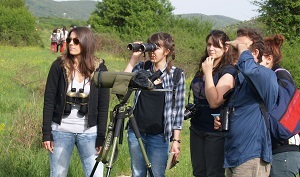 The mission of PALASE is to provide a place for education and a basis for research and environmental protection in Zagori for both the University of Ioannina and other universities of Greece and abroad. In close cooperation with the community of Zagori, will create a facility that provides access to modern equipment and knowledge of the environment. Particular emphasis will be given to studies in ecology, geology and cultural anthropology. Our vision for PALASE is as a top Field station of international importance. Protection of the natural Environment is of paramount importance in this age. It is clear that Man must understand it better which calls for closer contact with the environment. One the best ways for a university to accomplish this is through an environmental field research station.